You may unsubscribe via the link found at the bottom of every email. Don't miss dessert: the strawberry, passionfruit and basil pavlova was a riotous end to a delicious three-course meal. Compared to other ramen restaurants, Ippudo has the advantage of a very cool-looking dining room, a much larger menu, and the ability to seat reasonably large groups of people. We went this place to try their technology which we really liked it. The original shop-cafÃ© in Covent Garden is tiny and cosy; the Borough space is larger and serves fabulously moreish cakes and savouries to enjoy with your fine brew. The contents of an excellent wine list are stored in the humblebrag of an open cellar tucked to one side of a room that is sleek and smart and comfortable without being dull, and that avoids any gimmicky cues. And the terrace was heated up perfectly. Want to catch up with your very best friends? Grab a bottle, dive into the charcuterie selection, and split the tarte au citron. Turns out that the true origin of pie passed from Egypt to classical Greece and then to Rome and the rest of Europe. Make sure you leave space for the warm chocolate tart with whisky ice-cream — although you may struggle to share that one. See below for show-by-show info on day tickets and Time Out's best West End offers. The server told us some of her favorites and we ordered the maple bacon scone at her recommendation and one of the main dishes at her suggestion. That said, so much is perfect: a dish of scallops finely toasted in a pan with paprika was grab-the-sides-of-the-table good, their Finocchiona Toscana fennel salami is so moreish and flavoursome that cutlery was quickly forgotten and fingers quickly were salty and oiled. Solid brasserie fare with an American twist, and most of it well done, although the kitchen can take its eye off the ball. Let us know in the comment box below. None of it is cheap, all of it is worth the money. The food is great- we particularly enjoyed the lamb kebab starter and pork belly main. So restaurant availability information is up-to-date, and your reservations are confirmed. The latest project from the team behind award-winning restaurant , in Mayfair, chef George Barson Dinner, Viajante has moved from the latter to head up the kitchen. Diners can enjoy the generous portions as they look out over the bustling Covent Garden Piazza below. Opened under the radar last summer, this marble-decked palace imports all its fish from either Greece or Portugal, and the homegrown wines are some of the very best the country is making right now. It is not only deftly done but clever, too: the bacon scone with maple syrup and clotted cream is extraordinarily good and a complete reinvention of the afternoon tea staple. So dress up, then wallow in the no-gimmicks luxury that is truffle arancini, game lasagne and caramel panna cotta. 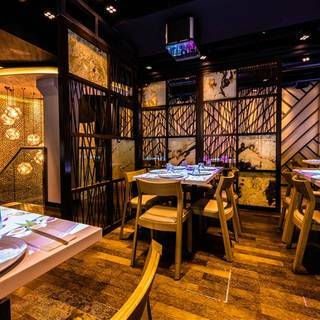 The restaurant is beautifully decorated and the staff are all very friendly. Bread, from master baker Jon Rolfe, is a must-try. Head chef Alessio Piras's pasta is not to be missed, his regional menu polished and unfussy — from the buttery, rich ravioli parcels served simply with toasted hazelnuts, to the chicken wrapped in delicate Parma ham and tucked into a bed of sage and shredded rapini — while the wine list is as long as the wait for food was short. A pleasant gruyÃ¨re and herb omelette tasted as though it had lingered a little too long at the pass. Try a Pitt Master, with pulled pork, or a Juliet, with mozzarella, gorgonzola and fig jam. Other options in the Covent Garden area include Mexican meals at or hot bowls of noodles from. The sea-water bivalves are sourced from Whitstable, Carlingford, Menai, Maldon and Jersey. Well, better late than never. But it was a wonderful evening. From British to Japanese, Indian or vegetarian have a look at our top picks below. These are the signature dish, and a must-try. The wine list has picks from small Italian producers starting at Â£22, with 500ml carafes for Â£13. Traditionalists should order the cream-laden shepherd's pie — it's been on the menu pretty much since the start and is as rich and delicious as the restaurant's history. Meat Market, from the same guys who opened Meat Liquor near Oxford Street all those years ago, has the same filthy burgers, hot dogs and buffalo wings, but in a more casual atmosphere where you can actually hear each other talk. Details: Open Mon-Sat 12-11pm, Sun 11. This stylish restaurant sits within the Strand Palace Hotel and serves international-style cuisine for breakfast, lunch and dinner. We are definitely coming back!! Photo by Look Up London Â 2. Dessert, as per the rest of the menu, was expertly crafted, our poached peach lusciously rich, paired with an intensely flavoured yet delicate earl grey sorbet. Don't fancy a whole bottle of vino? The spots Whatever cartoons you may or may not like to watch in the evening, you are most definitely an adult. 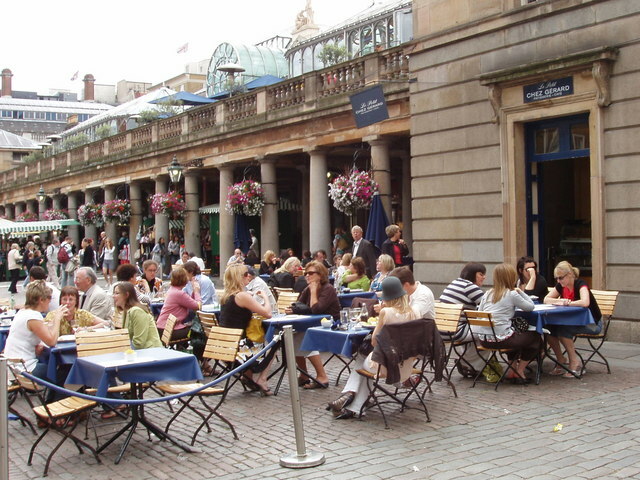 This Covent Garden site came about following the success of its sister restaurant in Richmond. The waiting staff probably not used to interacting with customers due to the iPad ordering process were not on the ball. It's Modern American and, like modern America, it's truly international: the raw bar features delicate carpaccio, ceviche, tartare. 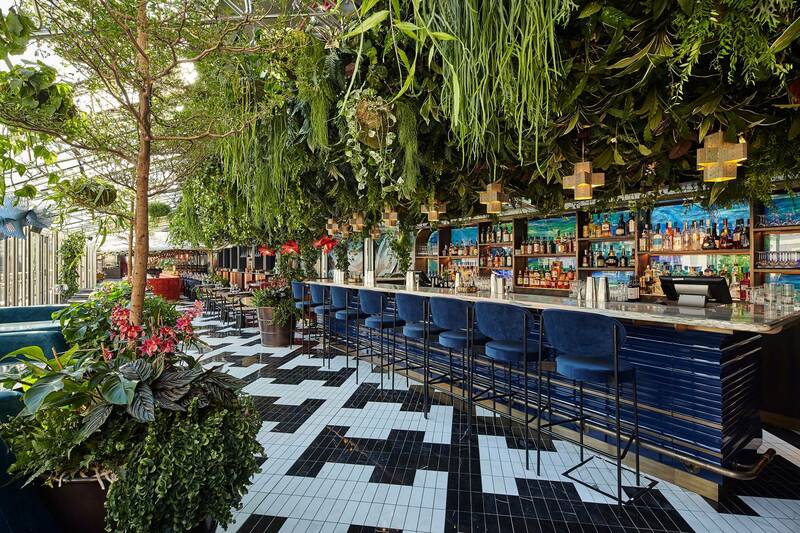 Similar to its sister restaurant The Palomar, the Barbary vibrantly fuses flavours from Israel, the Middle East and the Mediterranean, but also includes dishes from the Barbary Coast: Morocco, Algeria, Tunisia and Libya. Use the comments box below or tweet your suggestions. Loud funk, soul and jazz classics, plus a low level of chatter in a dozen different languages, provides the soundtrack; there's a definite dip in volume come kick-off time. The place is fun; it always has been, it always will be, and it's priced so fairly that you can make it somewhere to go often. But The Barbary makes it look easy. Chitarra — guitar-string like spaghetti — is slicked with and topped with a crisp, peppered cheese wafer. After being presented with this cold dish for the third time we gave up. Think we've missed a great bar in Covent Garden? 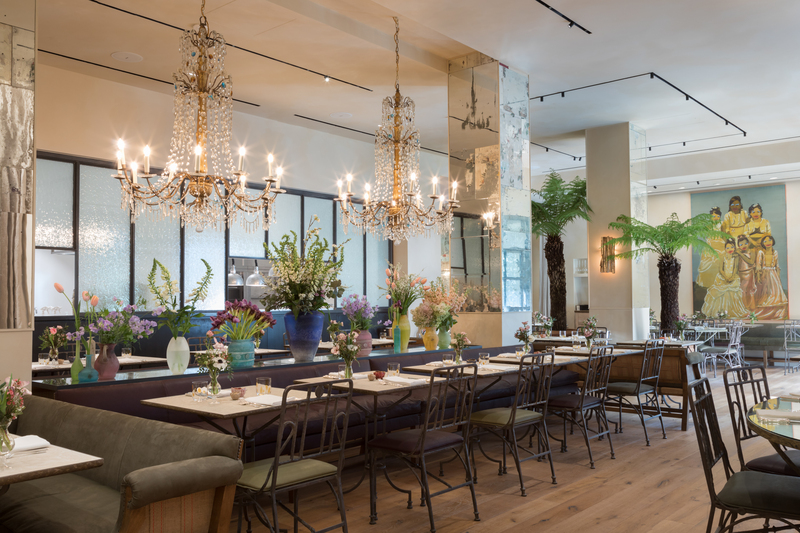 The Petersham In a nutshell: A refined restaurant in central London focussing on seasonal produce and Italian flavours, the second restaurant from reputable Petersham Nurseries in leafy Richmond. At the time it was one of the most dangerous streets in London, with a reputation for petty crime and murder. The coffees are good and they take their baking seriously: they have the best cinnamon buns in town. Located in the Old Watney-Combe brewery the space is a long hall, featuring the original vaulted-brick ceiling.